What Gunderloch is doing is interesting on a number of levels. Germany’s sprawling Rheinhessen region was until recently better known in the UK for the dubious ‘delights’ of Liebfraumilch and Niersteiner Gutes Domtal. 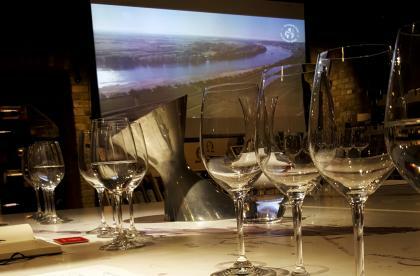 In part because of the dent in Germany’s wine reputation caused by such horrors, the quality image of the wines from the Nierstein area and with it the ‘tenderloin’ of the Roter Hang’s great vineyards on the Rhine in the region’s North-East suffered. 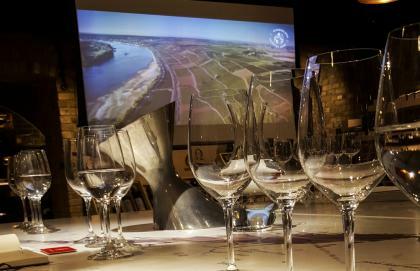 What’s more, it allowed the dynamic Message in a Bottle group based in Wonnegau in Rheinhessen’s south to steal a quality march on the Rheinfront’s producers in Nierstein and Nackenheim. Yet some of the finest sites in Germany lie in in the steep south and south-facing slopes of the Roter Hang here. Not least the Nackenheim Rothenberg, whose eight hectares of Permian red slate soils rising steeply above the Rhine produce, in the words of Stephan Reinhardt, one of Germany’s top critics, ‘full-bodied yet very delicate wines of great finesse…defined by their silky texture, slightly herbal, almost tropical fruit flavours and subtle minerality’. 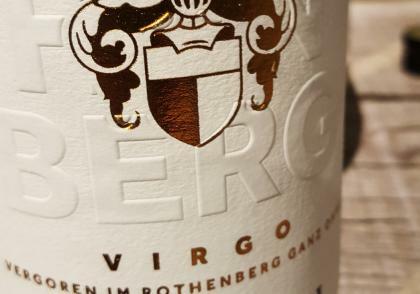 With six hectares of their own in the heart of the Rothenberg, Johannes Hasselbach decided to initiate The Virgo Project to get to the bottom of what makes this Grosses Gewächs (Grand Cru) vineyard tick. Not surprisingly, his parents were sceptical when Johannes announced that he was not only going to crush an experimental batch of 100 kilos of Riesling grapes, but that he would do it in the vineyard, allowing it to ferment spontaneously under its own natural yeast in a 110 litre clay amphora. Tasting the results of the first three vintages, starting in 2012, I found the first, 2012, pleasantly fruity , the 2013 tangier and drier, while Johannes seems to have achieve greater depth and length of flavour with the smoky, subtly floral, full-bodied and mineral dry 2014 vintage. 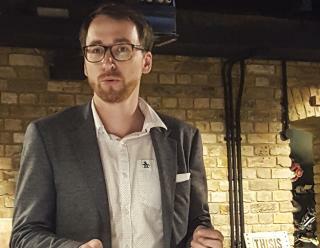 Refreshingly, Johannes himself is not making any great claims at this stage that the wine is a quantum leap in quality over earlier Gunderloch vintages from the Rothenberg. Rather, he is saying that by taking a risk, creating something of greater uncertainty, and with less active control over the final product, he is exploring the boundaries of how best to interpret that particular plot of land. In other words, from a tried and tested piece of dirt, the land itself, he is exploring how it can be harnessed to his own stylistic preferences, ‘a personal connection to the juice itself’. An even quirkier idea is the aptly-named Wurzelwerk project. In this partnership with his brother-in-law in Austria’s Jurtschitsch family, Johannes ferments grapes from the Rothenberg vineyard in three different places: the Saar Valley, Austria’s Kamptal and at home in Rheinhessen. Each of the three 2012 Rothenberg Wurzelwerk Rieslings I tasted were so remarkably different that it was hard to believe they were from the exact same origin. Both projects indicate though that by pushing the envelope, Gunderloch, and others of similar pioneering mind, will, over time, give us much to write home about. Awin Barrat Siegel. Contact lg@abswineagencies.co.uk or tel: 01306 631155.